Every athlete has a story about his sports life. For some athletes, it's a story about numerous mistakes and failures, not playing up to one's potential, missed opportunities, and believing that other players were more fortunate or favored. This kind of story only triggers a lot of frustration, self-doubt, resentment and thoughts of giving up on oneself and the game. 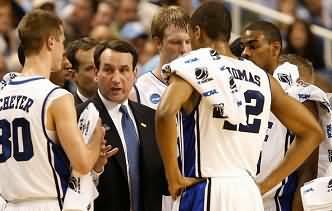 It's impossible to be mentally strong and ready to play when they've created a story that drains them – mentally, emotionally and physically. Being mentally prepared to play your best game begins with a compelling story. It's the story about your love for the game, the time and effort you put into becoming a better player, overcoming various obstacles and challenges, the positive influences in your sports life, and what the game has given you. You want to create a story that inspires and motivates you to give your best effort everyday on the field or court... read more. Have you ever noticed the athletes who show up late to practices, maybe miss a few of their training sessions, forget some piece of equipment, never give their best effort in games, always appear distracted and sometimes question why they are even playing the game? They've lost their energy and enthusiasm for sports. These athletes have forgotten why they started playing or why they're playing now. Being mentally prepared to play your best game means you never forget why you're playing. Remembering why you play fuels your desire to play and your devotion to the game. It impacts every facet of your preparation and performance. It will set the tone for your training and conditioning. So, are you playing for the love of the game, a special cause, your team, to improve your self-esteem, find a sense of fulfillment or a chance for a career in sports? Every time that you step onto the court or field, remind yourself why you play. Too often, athletes will ask the wrong kind of questions. Questions like "why am I a failure?" – "why do I make so many mistakes?" – "why am I not picking up the game faster?" – "why am I not as good as the other players?". These kind of questions only make them feel worse and will contribute to a variety of negative thoughts, feelings and behaviors. The athletes are asking questions that will basically set themselves up for failure. Being mentally prepared to play your best game is all about asking questions that set yourself up for success. You want to ask questions that put you into a positive, productive and proactive state of mind. Questions like "what am I doing today to become a better player?" – "how do I support my teammates?" – "what can I learn from my coaches?" – "what are my goals for the season?" – "how do I maintain my composure in the game?". The right kind of questions are questions that keep your focus on what you are doing to develop your skills and become a better player. There are athletes who are always preoccupied with their weaknesses or limitations. 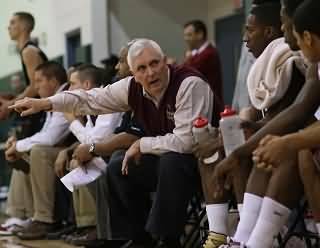 At every practice or game, you will hear them talking about how they are not big enough, fast enough, smart enough or just plain good enough to become a better player. And their concern or worries about what they can't do are actually holding them back from recognizing and using what personal strengths they already possess. These athletes are not giving themselves the opportunity to see how they can use these strengths to find a greater sense of empowerment and enjoyment in playing sports. As an athlete, you have different personal strengths. They could be strengths from other parts of your life that you never thought of using in sports. Maybe, it's your intelligence, compassion, intensity, enthusiasm, leadership skills, ability to communicate with others or your perseverance. You want to embrace those strengths, and find ways to use them in developing your skills and serving the greater good. One of the biggest challenges that athletes face is thinking and worrying about what they don't want to do or have happen in a game. For the basketball player, it's missing the shot at the foul line or fouling out of the game. For the baseball player, it's striking out with the bases loaded or dropping a fly ball in the outfield. When an athlete focuses on what he doesn't want, he visualizes making mistakes, feels nervous and anxious, and physically tenses up. By thinking about what he doesn't want, the athlete has a difficult time enjoying the game, is afraid of playing poorly and being embarrassed, and may actually find a reason for taking himself out of the game. To play your best game, you must focus on what you want. Only focus on what you want to do in the game and how you want to play. When you focus on what you want, you are more assertive, more passionate about playing and basically feel more alive. You feel more confident about yourself and will take a more proactive role in the game. Therefore, the moment you step onto the field or court, you are thinking about the one thing you control – yourself – and how to put yourself into the best position to succeed. Many athletes think and worry about what they can't control. When this happens, they actually lose control of themselves. They lose their concentration, composure and confidence. The athletes have a difficult time keeping their heads in the game because they are distracted by everything they don't control – the refs, players from the other team, coaches' decisions, the scoreboard and spectators in the stands. By thinking about what is out of their control, athletes aren't able to pay attention and be aware of what is happening right in front of them. Being mentally prepared to play your best game requires you to let go of and tune out everything that is irrelevant to how you play. The only thing that you control is you. You control your attitude. You control your actions. You control how you approach each practice and game. If you want to play your best game, then you simply keep coming back to controlling who you are and what you do. When you focus on controlling yourself, you find it easier to play in the present moment, with the right perspective, more poise and greater perseverance. The best athletes understand the importance of mentally rehearsing and visualizing their performances. By incorporating such senses as sight and sound, they develop internal scripts of how they want to perform during different plays or game-time situations. And they review and practice these scripts on a regular basis. To mentally rehearse and visualize how you want to perform, select a specific play or game-time situation. Next, identify where you are physically positioned at the beginning of that play or situation. Then, identify your primary role and responsibility, a personal strength, the performance objectives and a positive feeling from a successful performance. For the performance objectives, you should select a series of short visual and verbal cues that highlight the specific steps or moves you are taking to successfully perform your role during the play or situation. And when you find yourself in a game facing that particular play or situation, you can immediately plug into your mental rehearsal for that moment and simply think – role, strength, objective and positive feeling... read more. When an athlete is playing in a game, it's very easy to lose track of where he is, to see what's happening and to make smart split-second decisions. The athlete could be thinking about a mistake he made five minutes ago or thinking about who will win the game. Given that there are so many things that can pull his attention or focus away from the game, he needs to continuously bring himself back to the present moment. If the athlete can't do this, he will often find himself out of position, making mistakes and possibly being called for a foul or penalty. To be a successful athlete, you have to know how to stay in the moment. It is only in the present moment that you can have any positive impact or influence on the game. You want to be able to clearly see what that moment offers you and the potential opportunity to make a good play. It's keeping your mind on right now so you can effectively respond and make the best decision in that moment of the game. One simple and easy approach is to use two verbal cues during a game – "check" (prompting you to look for what the moment is offering you) and "choose" (prompting you to see the best option to make a play)... read more. How often do athletes take a difficult or challenging experience and can only think of the negative consequences from that experience? Maybe, it's a tough loss, being injured and going through rehab or not playing up to their expectations. They not only think about all the different things that went wrong but will often replay that experience in their minds for days, weeks and even months. And then they use that experience to convince themselves that they can't play the game and will never succeed. They've chosen to let that experience hold them back from being the kind of athlete they dreamt of becoming. Being mentally prepared to play your best game is when you have learned to take any negative experience and put it into a positive frame of reference. It's about finding the meaning or lesson in what you've experienced, using it to motivate yourself and figuring out how to use that experience to become mentally stronger and smarter. You realize that if you don't reframe your negative experiences, the way you see and interpret those experiences will only disable your mental focus and destroy your mental fortitude. There are some athletes who think that everything is a problem. Practices are too long. The coaches are too demanding. There's not enough playing time in games. The uniforms are old. They aren't winning all their games. There aren't enough people coming to watch them play. These athletes have a misguided belief that everything needs to be perfect. And when things aren't perfect, the athletes aren't able to enjoy themselves, and end up losing sight of everything that is positive about playing sports. Being mentally prepared to play your best game is playing with a sense of gratitude. It's being grateful for having the opportunity to be an athlete. It's seeing the many benefits and opportunities that have come your way from playing sports. When you give thanks for playing the game, you end up playing with more energy, enthusiasm and enjoyment. You are able to find the gift in every experience or moment on the field or court. Have you ever noticed that when you are running around in a game, and especially when you're feeling nervous and anxious, your breathing gets shallow, and your brain and body start to slow down. You have a difficult time catching your second wind and keeping your focus on the game. Playing your best game requires a certain amount of oxygen so that your brain can effectively function, and your body can keep up with the physical and emotional demands of the game. Find those moments in the game when you can simply take a deep breath for about five seconds. Inhale through your nose and exhale through your mouth. When you take a deep breath, you can bring yourself back to the present moment, slow the game down and compose yourself. And, if you want to, say to yourself – "I'm (inhale) ok (exhale)"
There will be times during a game when an athlete begins to feel overwhelmed by what is taking place on the field or court. Maybe, he made a mistake and can't stop replaying it in his head. Maybe, he realizes that there is only two minutes left in the game and his team is behind on the scoreboard. Or maybe, the coach puts him in the game because their star player has been injured. These kind of events can trigger stress, anxiety and other negative emotions. And when this happens, the athlete feels emotionally unsteady and unsure of himself. To play your best game, you need to identify a mental anchor. This mental anchor is a short visual or verbal cue that you can keep coming back to whenever you begin to feel overwhelmed at any moment of the game. It can be a word, image, phrase or piece of music that helps you regain your composure, brings you back to the present moment and allows you to refocus.